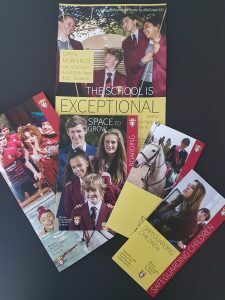 Colour consistency for branding is very important, Royal Alexandra & Albert School use us for that reason. With their various publications printed on a variety of different paper stocks, colours can and do change. Using colour matching software and a keen eye we can continually adjust to maintain the right colour.